for DI-FBS. It is just 1 of about 40 private organizations that crown a FBS champions recognized by the NCAA. Meaning each one of those 40 private organizations can crown its own champion and give their champion a trophy if so desired. So the College Playoff, AP Poll, Coaches Poll, USA Today/ESPN Poll, Colley-Matrix, etc. are equal in the NCAA's eyes. You may not like it, but the NCAA recognized UCF's national championship for 2017. From Page 115 of the NCAA Football Subdivision Records. If the organization chooses to give its champion a trophy, banner, rings, etc, then it is up to the organization. Also, remember the NCAA doesn't recognize the College Playoff champion as the DI football champion. 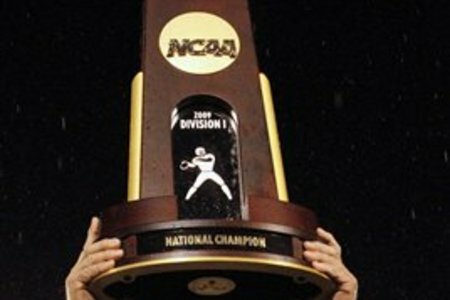 The NCAA recognizes the DI-FCS champion as the DI Football Champion. FYI the FCS champion receives the same NCAA team trophy that all other ncaa team champions receive. The only difference between the trophies is the sport that is etched in the glass portion of the trophy.